Graduate of the Medical School of the University of Athens, Greece, 1996. Specialization on General Surgery, 2005, at the General Hospital of Athens including six-month periods for gynecology and thoracic surgery. Postgraduate Diploma in Laparoscopic Surgery at the Medical School of Universite Montpellier I, France (2003-2004). Special Clinical Training in , 6th Panhellenic Conference of the Greek Society of Endocrine Surgery, Athens, January 2000. Seminar on “Surgical Breast Oncology”, Instituto Europeo Oncologico-Milano, Italy (01/08/2007-23/08/2007). Possession of ATLS, Advanced Trauma Life Support, Athens, November 2011. Succeed training in “THD: Mini-invasive surgery for the treatment of Hemorrhoids and the Gate Keeper day Surgery, Rome, December 2011. Succeed intensive training in Laparoscopic General Surgery and in Minimal Invasive Laparoscopic Surgery, Strasburg, February 2013. March 1997-July 1998: Residency at the Regional Medical Office in the island of Andros-Greece. August 1998-August 1999: Internship in General Surgery at the Second Surgical Clinic of the Regional General Hospital of Athens in Nikaia ”St.Panteleimon”. January 2000-August 2000: Internship in Gynecology at the Gynecological Clinic of the Prefectural General Hospital of Rethymnon, Crete. November 2000-May 2005: Residency in General Surgery at the Surgical Clinic of the General Hospital of Athens “Polycliniki” where I completed my specialization in General Surgery. October 2004-April 2005: Specialization in Thoracic Surgery at the Thoracic Department of the Second Surgical Department of the General Hospital of Athens “Evangelismos”. Upon certification of the specialization (24-06-2005), I commenced private practice as a General Surgeon. November 2005-April 2006: Member of the surgical team of the First Surgery Clinic of the Hygeia Hospital, Athens. May 2006-April 2009: Member of the surgical team of the Central Clinic of Athens on General Surgery-Laparoscopic Surgery-Endocrine Surgery. April 2009-present: Consultant of Hepatobiliary Department, Hygeia Hospital, Athens. Elected Member of the Education and Training Committee of the General Hospital of Athens “Polycliniki” for the period 2002-2003. 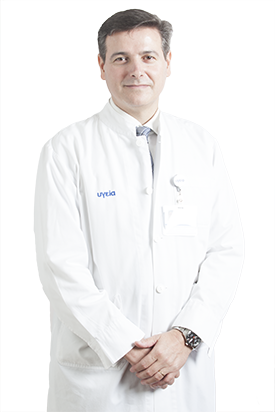 Elected Member of the Scientific Board of the General Hospital of Athens “Polycliniki” for the period 2002-2003.